Archaeologists in Scotland were disappointed to discover a stone circle they believed was centuries old only dates back to the 1990s. Researchers descended on the monument in Leochel-Cushnie, Aberdeenshire, in Scotland, when the current landowner reported the site to authorities. Archaeologists heralded the site as authentic, adding it to the list of “recumbent stone circles”—a rare type of circle found in the local area. But celebrations were cut short when the previous landowner told a representative of Historic Environment Scotland and Aberdeenshire Council’s archaeology service that it was merely a replica, the council reported. During their analysis of the site, archaeologists had noted it was relatively small and was missing some of the “cairn” or “kerb” stones one would usually expect. But the council said that this level of variation is not unusual. Neil Ackerman, historic environment record assistant at Aberdeenshire Council, said in a statement: “It is obviously disappointing to learn of this development, but it also adds an interesting element to its story. Recumbent stone circles, built some 3,500-4,500 years ago, are rings of rocks characterized by a large stone laid on its side between two pillars. 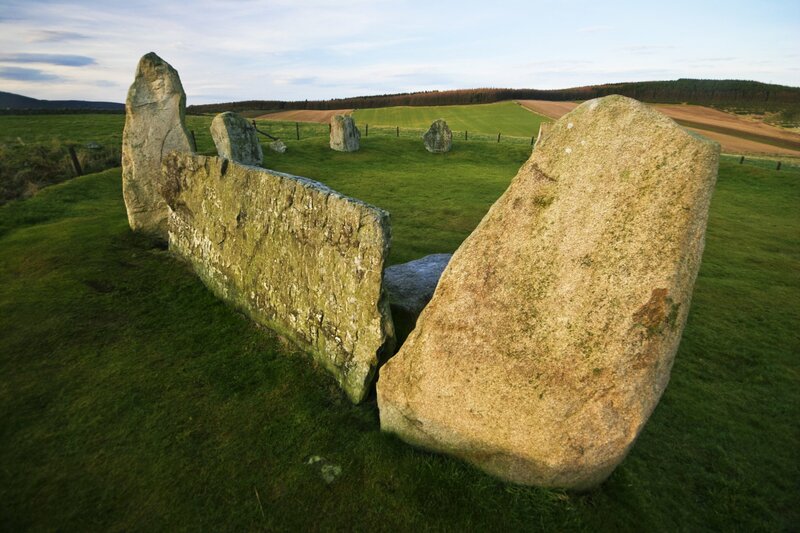 Found in the north-east of Scotland, the Bronze Age rings are thought to have been built for astronomical purposes—to watch the movement of the sun and moon or to track the passing year, according to Forestry Commission Scotland. Ackerman added: “These types of monument are notoriously difficult to date. In other recent archaeological news, researchers recently discovered the world’s first empire—the Akkadian Empire—fell as a result of climate changes that occurred more than 4,000 years ago. Meanwhile in Mexico, scientists have uncovered a temple dedicated to Xipe Tótec ("Our Lord the Flayed One"). Archaeologists found a grisly statue depicting the deity cloaked in the skin of a victim. Prehistoric Shark Vs Giant Flying Reptile: Who Won?